I am not saying for a fact that Seth Rich was the Wikileaks Leaker, but I am presuming this from the facts I have accrued. I am not saying nor judging his family, as I understand from experience how difficult it is to lose a child. It is mind bending, it shatters the mental faculties, and it damages the soul to a degree that cannot be healed. I am not saying that any of his friends deceived him, but I am assuming from quotes that Seth Rich was alone in his stance…if he is was in fact the Leaker. He was totally alone, and I cannot even begin to comprehend his courage or his ability to carry on. He also worked in local politics in Nebraska, including a stint on a campaign of former U.S. Sen. Ben Nelson. Retired teacher Rita Ryan told the paper that Rich never missed a meeting of Central High Schools’s Student Democrats club. So we can see from the above he was entrenched in being a Democrat, but at the same time he was committed to whatever cause he thought was right. Therefore, one can assume if he was, in fact a Democrat, but discovered that cause was no the right thing, he would do whatever was right. One could assume if he discovered the DNC was involved in fraud, as the DNC lawsuit claims, Seth would have been compelled to do what was right…even if that meant to leak DNC EMAILS AND TESTIFY IN THE DNC LAWSUIT. Next, I have tried to find what was reported by police and those who found Seth immediately after he was shot, and before he was taken to the “secret” hospital facility where he died. Seth was shot at 4:19 in the morning, just two minutes after hanging up with his girlfriend, Kelsey Mulka. Still reeling from Seth’s death, Kelsey is horrified to discover that the story of a conspiracy theory is swirling around his death. It all began on Dutch television. The founder of Wikileaks, Julian Assange, made a shocking assertion. ASSANGE: There’s a 27-year-old that works for the DNC who was shot in the back, murdered. ANCHOR: That was just a robbery, I believe wasn’t it? ASSANGE: No, there’s no finding. ANCHOR: What are you suggesting? Assange suggested Seth Rich may have become a target after being accused of leaking DNC emails, which led to the resignation of its chairwoman Debbie Wasserman Schultz. Seth’s best friend, Michael Cass-Antony, is also breaking his silence in this exclusive interview, telling Crime Watch Daily he’s disgusted by the reports. As we can see from the above the police said Seth was targeted. You can also see his friends and all those around him would never have understood if he was, in fact, the Leaker. Also, the below gives me some insight into who has his laptop. His parents found a letter on his laptop saying he would accept a job with Hillary Clinton, whom they admired, as did his friends. Seth’s mom and dad want to set the record straight about the character of their beloved son, and disclose details of this case only to Crime Watch Daily. Seth’s parents say he got the offer but tragically never had the chance to accept. They found the beginnings of his letter of acceptance in a draft email on his computer. Seth had only typed two lines, and his parents are sharing it with us. “‘All my life I wanted to be in a position that I can make a difference.’ That resonates with me because that is the heart of what my son would have said, and working on Hillary’s campaign, he would be making a difference,” said Mary Rich, Seth’s mother. Fox News, citing a federal investigator as source, reports that Rich may well – as long rumored – have been the source of DNC emails published by WikiLeaks, less than two weeks after he was shot twice in the back during a robbery in which, curiously, nothing was apparently taken from him. That email release, which revealed an internal DNC conspiracy to ensure the nomination of Hillary Clinton for president at the expense of her opponent, Bernie Sanders, wounded Clinton’s campaign and cost US Representative Debbie Wasserman-Schultz her position as DNC chair. WikiLeaks founder/director Julian Assange, in line with the organization’s policy against outing sources, has resolutely declined to confirm or deny Rich as the DNC leaker. On the other hand, WikiLeaks did put up reward money for information leading to the arrest and conviction of his killer or killers – and retweeted, without comment, the Fox News story referenced above. For every action, there’s an equal and opposite reaction. In the case of Bill and Hillary Clinton, the right-wing conspiracy theory project of putting every fatal heart attack and accidental traffic death in America on a constantly updated, Internet-circulated “Clinton Body Count” list tends to make the rest of us cautious about just assuming skullduggery on the part of the Clintons and their associates in any given instance. Is it really that far-fetched to hypothesize that Clinton, or officials in her campaign or party – many of whom are accustomed to exercising power of life and death in when actually in office – would quail from likewise killing in pursuit of their political interests? The DNC leak (and therefore the DNC leaker) arguably cost Clinton more than the 80,000 votes or so by which she lost the 2016 presidential election. I am assuming from the facts, thus far, that Seth was very likely the DNC Leaker. I do not understand why Julian Assange would say what he did on Dutch television or offer a reward for Seth’s killer unless he was indeed the Leaker. 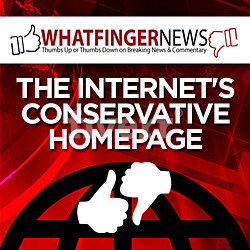 I, also, want to say I have great respect for FOX NEWS AND ROD WHEELER. I have no reason to believe why SEAN HANNITY or anyone associated with this story would have a reason to lie. I do have reason to believe that Hillary Clinton and Debbie Wasserman Shultz are liars and sociopaths, who are prospering in this world right now. As we can see from the arrest of Imran Awan, one of the Pakistani spies who worked for the DNC for three years, the DNC was involved in too many crimes to list right now in this report. However, I am getting ready to go over some very important timeline events which do involve the Awan Brothers. John Podesta writes, “I’m definitely for making an example of a suspected leaker whether or not we have any real basis for it.” This quote reveals John’s general mindset when it comes to leakers; clearly he cannot know that more than a year from now he will be dealing with some of the most damaging leaks in the history of politics. 12:15pm EDT Huma Shah makes appointment for Jennifer Palmieri (Director of Communications for Hillary Clinton’s 2016 presidential campaign) to meet Katherine Branch (Director of Special Projects and Events Special Assistant to Valerie Jarrett) in the West Wing. 12:28pm EDT Jennifer Palmieri arrives to the West Wing. 1:39pm EDT Jennifer Palmieri leaves. Last date of emails in Wikileaks dump of DNC emails, which will happen on July 22. Mayor of Boston issues press release that Andrew Therriault is leaving his position as Director of Data Science for the Democratic National Convention and joining the Boston city government as Chief Data Officer. Andrew Therriault moves to Boston from DC to begin new job. 7:21pm EDT Crystal Carson makes appointment for Jennifer Palmieri to meet Jen Psaki in the “upper pres” of the White House. 12:33pm EDT Jennifer Palmieri arrives to the White House to meet Jen Psaki. 2:28pm EDT Jennifer Palmieri leaves. Note that by this date, Wikileaks has not leaked any emails having to do with the 2016 election, and has been largely out of the news. Wikileaks does not become a big player in the election until it releases the DNC emails on July 22, twelve days from now. 4:20am Officers report beginning of incident with Seth Conrad Rich. 5:57am Seth pronounced dead by unknown physician at unknown hospital. 7:10am Police report filed (CCN #16113797): CIC reports the sound of gunshots at 2134 Flagler Pl. NW. Upon arriving to the scene, the decedent was laying in the Southwest corder of the intersection of W St. and Flagler Pl. NW. The decedent was conscious and breathing with apparent gunshot wound(s) to the back. The decedent was transported to local area hospital and was pronounced by attending physician at 0557 hours.Responding office listed as: Jody O’Leary (#7859). Assisting officers listed as: ROBERT WINGATE ROBINSON (#7634)(Body Worn Camera),Derek Tarr (#9237)(Other Officers At Scene),Shea Ellis (#9499)(Other Officers At Scene),Benjamin Velez (#6631)(Body Worn Camera),Mark Lee (#6141)(Body Worn Camera). Investigators go on record to confirm: Seth still had his wallet, watch and phone when he was discovered shot in the street. Rafael Aguilar and Carmelo Marmolejo-Calixto are found dead in Myrtle Beach, South Carolina, with “gunshot wounds to vital organs”, 434 miles from where Seth was shot 24 hours earlier, a 7 hour drive. From the article: “On Monday, one of the deceased men was found lying face down on the ground next to a gold Chevrolet Astro van that had tinted windows with the windshield wipers still moving. The other victim was slumped over in the passenger seat of the van.” Van has Florida South Carolina license plate LGL 344. Note that an anti-gun-violence website that shows Rafael Aguilar’s occupation as “Clinton 2016 campaign aid” allows anyone to freely tag victims with occupations; “Clinton 2016 campaign aid” was likely added as a joke. Tue, July 12, 2016 Hillary Clinton uses Seth’s murder to advocate in a campaign speech for stricter gun control. 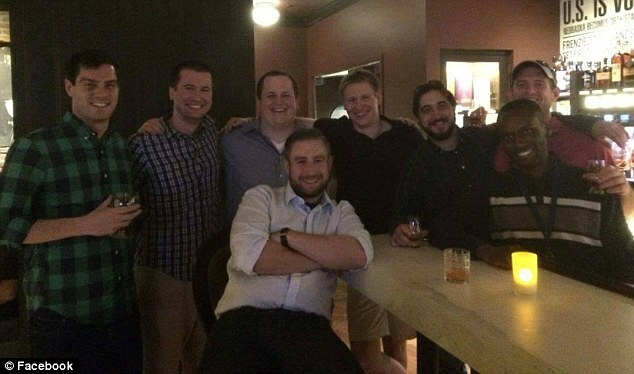 Wed, July 13, 2016 More than 100 people attend vigil held in front of Seth’s home in D.C.
10:30am EDT WikiLeaks releases DNC email database with 44,053 emails and 17,761 attachments, in two tranches, covering period from January 2015 to May 25, 2016. Wed, July 26, 2016 Police in Myrtle Beach, SC, ask for help solving murders of Rafael Aguilar and Carmelo Marmolejo-Calixto. 8pm EDT Paul Tyrone Dorn, Demetrius Brandon, and Stanley Marquis Williams are arrested for an attempted armed robbery nine blocks from where Seth was shot. 9:30am EDT Donna Coleman makes appointment for Kamau Bobb and family to visit Quincy Brown in room 491 of “OEOB” today. 10:16am EDT Donna Coleman makes appointment for Alfred J. Cornelius to visit Rich Pouyat in room 474 of “OEOB” today. 10:17am EDT Andrew M. Therriault and Christopher M. Dwelley arrive to White House to meet Kelly Jin in room 442 of “OEOB”. 10:37am EDT Alfred arrives to White House. 10:43am EDT Bobb family arrives to White House. 11:40am EDT Andrew and Christopher leave. 11:51am EDT Bobb family leaves. Julian Assange hints in a Dutch television interview that Seth Rich is Wikileaks’ source for the DNC emails. The same day, Wikileaks offers a $20,000 reward for information leading to a conviction in Seth’s killing. Tue, Aug 16, 2016 D.C. Police Chief Cathy Lanier announces she is stepping down to become head of security for the NFL. Sep 17, 2016 D.C. Police Chief Cathy Lanier’s last day of work. Seth’s parents (Joel and Mary Rich), girlfriend (Kelsey Mulka), best friend (Michael Cass-Antony), and others (Joseph Capone) who knew Seth go on record to defend Seth against rumors that he is the DNC email leaker, giving exclusive interviews to Crime Watch Daily. Seth’s parents state: “He had just found out he was going to go to work for the Clinton campaign doing data analysis and helping getting people out to vote,” and that he had just started to draft a “letter of acceptance”, but had only managed to write two sentences, one of which was: “All my life I wanted to be in a position that I can make a difference.” Who writes acceptance letters to job offers??? You write a letter if you’ve got more to say than just a simple acceptance. Nov 23, 2016 Parents Joel and Mary Rich appear at press conference with Republican lobbyist Jack Burkman to offer $125,000 reward. Craig Murray of Wikileaks claims to have met a disgruntled DNC staffer in September who gave him emails. These could only have been the Podesta emails, released on October 7, 2016, not the DNC emails, which were released July 22. Jack Burkman appeals to Congress to investigate Seth’s death under the theory that it might have been the Russians trying to disrupt the voter registration project Seth was working on for the DNC. The team includes a forensic physiologist, a security specialist and George Washington grad students, and are operating out of the new Seth Rich Center for Investigations in Arlington, Virginia. Burkman claims a former U.S. Intelligence Officer told him the Russian’s had something to do with Rich’s murder. Apr 27, 2017 Andrew Therriault’s tweets at Seth’s Twitter account @panda4progress: A group of Pandas is called an “Embarassment”. As of May 20, tweet has been deleted. May 16, 2017 The Gateway Pundit claims the footage from the body cameras worn by three of the police officers responding to Seth’s shooting is missing. May 17, 2017 Fox News modifies it’s May 15 article to note that Rod Wheeler has become wishy-washy about his previous on-camera claims that he communicated with the FBI regarding Wikileaks and Seth Rich. Kim Dotcom tweets list of security cameras in area of murder. Andrew Therriault’s April 27 tweet @panda4progress is uncovered by online sleuths. Andrew deletes the tweet within hours. Seth’s social media accounts discovered and archived: pandas4bernie (Facebook, Reddit comments and posts, Tumblr), MeGrimLock4 (Reddit comments and posts), panda4progress (Twitter and tweets). His online persona reveals that he was a supporter of Bernie Sanders (source). Political Strategist. Growth Hacker. Business Developer. INFOSEC. I will also archive this report as soon as it is published at IWB. The following article has pictures and facts about Seth’s funeral I have searched for a very long time. You will want to read and view this article. I am going to also archive it. In conclusion, I believe that all of the above sources compile and present the facts, and each of you can form your opinion after reviewing all of the above. Rod Wheeler was a former DC homicide detective, who was hired by the family of Seth Rich, to investigate. He how eludes to the fact, that the Seth Rich investigation is tied to the arrest of Imran Awan. IT IS NOT IMRAN AWAN IN THE PHOTO. I RESEARCHED THIS FULLY. IT IS ANOTHER FRIEND OF SETH’S. THESE PEOPLE NEED TO GET THIS STORY STRAIGHT. MAKE IT CLEAR IT IS NOT AWAN AT ALL. IT IS ANOTHER FRIEND. SOMEONE IS GETTING READY TO GET IN TROUBLE, AND IT WILL NOT BE US.